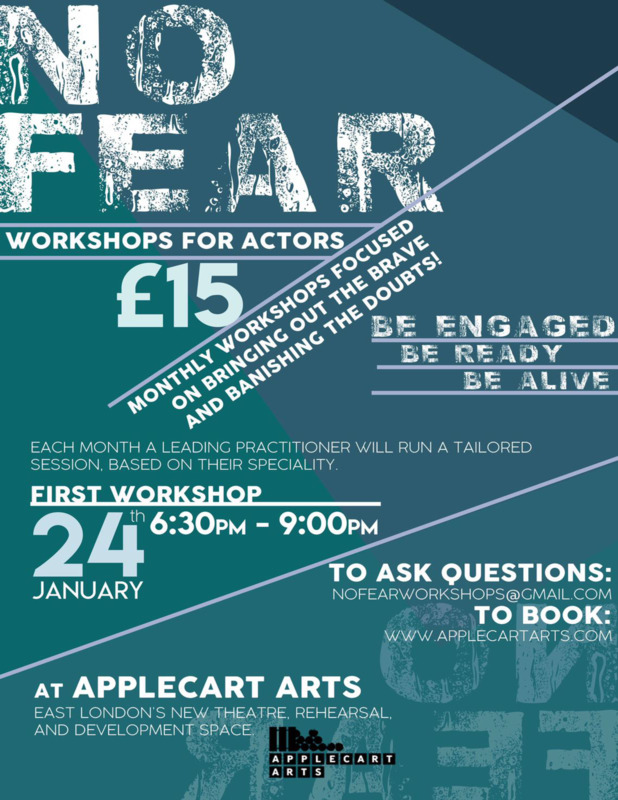 After our successful try out last year, we're delighted to announce the official launch of our monthly workshops for actors focus on bringing out the brave and banishing the doubts! Each workshop offers the opportunity to work with an established practitioner, taking part in a session tailored to their speciality. Grace has recently performed in a US touring production of Hamlet with Actors From The London Stage and has toured with Cheek By Jowl. She is a graduate of Guildhall School of Music and Drama, regularly running workshops and courses including the Preliminary Acting Course and short-course "The Female Actor". Grace is also a qualified movement practitioner. After the success of last years trial event, we're delighted to announce the launch of our new series of workshops for actors looking to bring out the brave and banish doubts! These workshops, on the last Thursday of the month, offer an opportunity for actors to stretch their muscles, develop new skills and develop stronger professional networks.